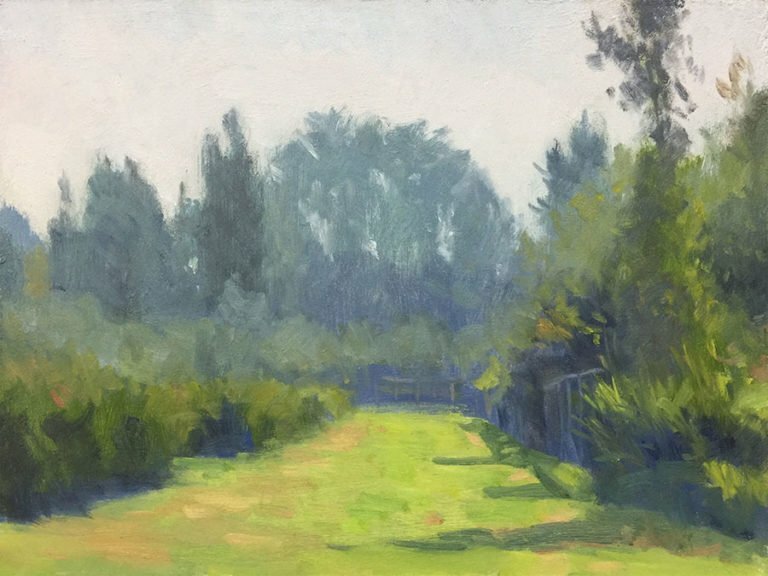 At the suggestion of my student Sarah Anderson, we’ve been painting at Larsen Lake Blueberry Farm, in Bellevue, WA. It’s a beautiful spot, with interesting views of the lake and the farm itself. 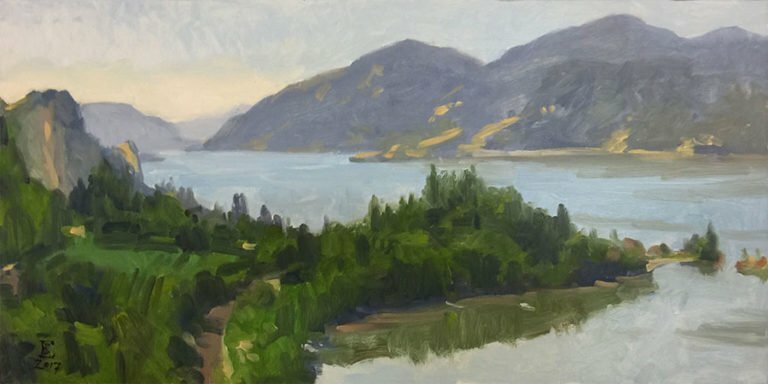 I spent 4 days participating in the Pacific Northwest Plein Air 2017 event at Maryhill Museum, on the Columbia River Gorge. It was a grueling affair, with temperatures as high as 110 degrees. There were 42 artists involved, and the event culminated in a month-long exhibition at Maryhill Museum, where it will hang until August 27th.